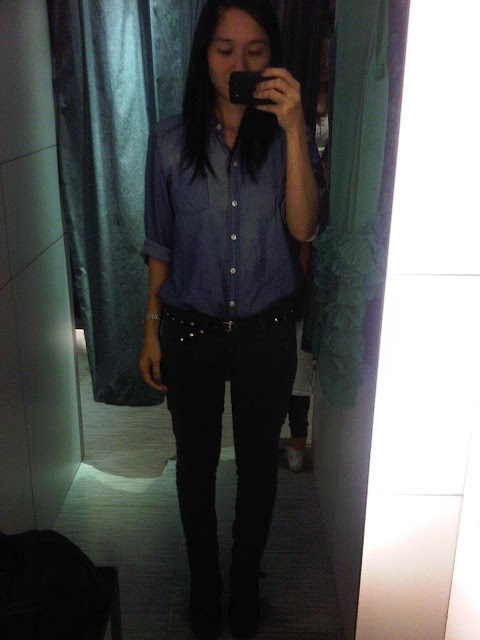 Well, ok I managed to sneak in a solo outfit shot while trying on clothes at Myth, but the lighting was dark. Heehee. Hay, I wonder when I can a get a good shot to share with you dearies! Sara! Hahaha! Yes! That's Guardia Berry! Hahaha I was gonna ask the same thing! Cuuuute kahit feet lang!